Scalp application cream for heavy scaling effective treatment for scaly scalps i.e. pityriasis and sebhorroeic dermatitis. This is for adult use only and contains salicylic acid and sulphur. 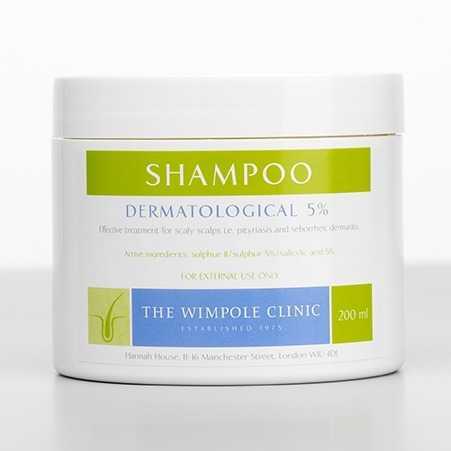 The treatment loosens and dissolves heavier scalp scaling and should be used twice weekly until scaling is reduced after which The Wimpole Clinic dandruff control will prevent recurrence. How to use: apply to areas and soak for 20-30 minutes. Rinse thoroughly, then shampoo hair twice with the Wimpole Clinic dandruff control shampoo before applying a good conditioner.